If you plan on leaving your home for an extended period of time in the winter and you live in a climate where winters can get chilly, then you need to winterize your home. This includes your appliances. 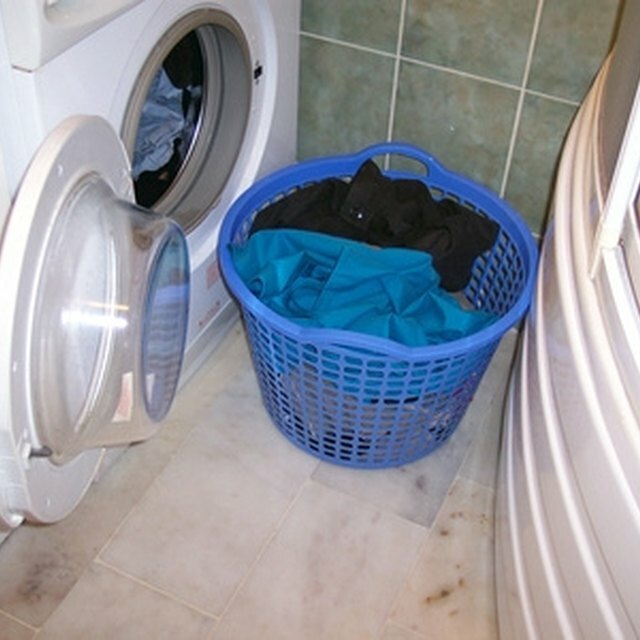 For example, a small amount of water can be left inside a washing machine, even when the washer appears empty. When temperatures dip below freezing, this water expands and can cause pipes to burst. Properly winterizing your Sears front load washer can help eliminate this problem. Ice can damage your Sears front load washer if it's not properly winterized. Open the front door of the washer. Pour about a quart of antifreeze into the washer. Set the Sears front load washer to the spin cycle to run the antifreeze through the washer's plumbing and into the pipes. Pour a cup of antifreeze into the sewer inlet located behind the washer. Unplug the Sears front load washer from the wall or turn off the power to the electrical circuit where the washer is located. Position yourself so you can access the water supply hoses at the back of the washer. Have someone help you move the washer if needed. Turn off the water supply for the washer at each of the water supply valves --- both hot and cold. Position the bucket underneath the supply hoses. Unscrew the couplings on the supply hoses from the supply valves. Empty any water inside the hoses into the bucket.